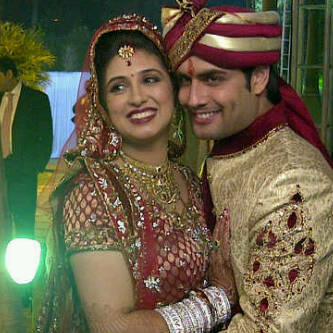 A lot was being said about Vivian DSena and his sweetheart Vahbbiz Dorabjee. And birdies even suspected the two love birds to have married secretly. But the two finally tied the knot and entered the holy matrimony on January 7, 2013. And must say, the couple looked every bit pretty in their matching maroon wedding attires.The couple’s family and close friends including Karishma Tanna and Kishwer Merchant attended this delightful wedding that took place in Pune.